The Wurlitzer is used for concerts, dances, wedding receptions and other private hires. Members can practise on the Wurlitzer each month and tuition can be arranged. The COS Northern District encompasses Scotland as well as Northern England. 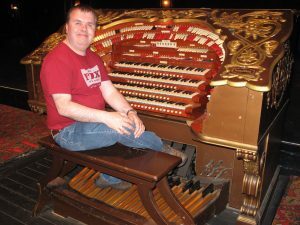 Scottish members can enjoy local theatre organ events at Pollokshaws Burgh Hall, on the southside of Glasgow, with its fine three-manual Wurlitzer organ. The instrument is owned and maintained by the Scottish Cinema Organ Trust (SCOT), who arrange regular concerts and dances at the hall. More information about the organ, venue and forthcoming events can be found on its website at: www.scottishcinemaorgantrust.org.uk.